I don't think this tastes like cabbage. We didn't expect to love this but we did. I shouldn't be surprised since I was brought up on a sweet and peppery cabbage and noodle dish which has always been a favorite. I don't love cole slaw but I do like it and I really enjoy stuffed cabbage. I think, other people's taste is getting to me. Bottom line - people took a piece with trepidation and then took another with enthusiasm. Add onion and cook for about ten minutes until soft and golden. Add shredded carrot and shredded cabbage. Mix together and cook for an additional ten minutes. Add the salt, sugar, and pepper. In a medium sized bowl, beat the eggs, the oil and potato starch. 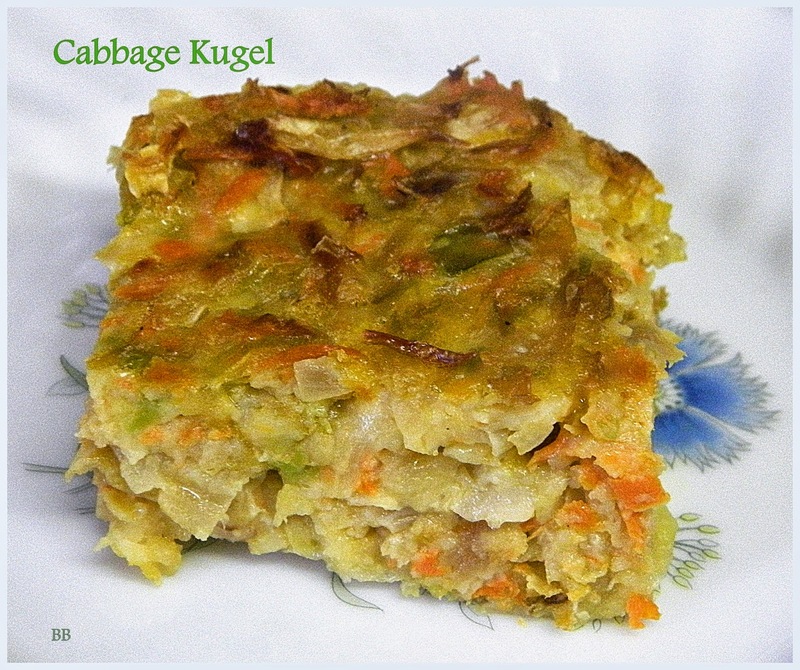 Add the cabbage mixture and mix well. Pour into 9x13 pan and bake at 350 for about 50 minutes. What an amazing idea. I have a huge amount of cabbage in my fridge right now that needs to be used. Thank you for solving my problem! (I already made sauerkraut with one whole head.) How much do you reckon is in a bag of shredded cabbage? Maybe tell me in weight - since cabbage weighs the same wether shredded or whole! Then I can try this out.